What’s the best metal roof for your home? A typical metal roof is more expensive than standard 3-tab or architectural shingles. This is because metal is a premium building material that lasts at least 2-3 times longer than asphalt. It also offers superior protection against severe weather. Keep in mind that these are prices charged by licensed contractors who specialize in metal roofing installation. Note, that snow guards are installed in the “snow country” to prevent ice damming and chunks of snow from falling on your head, or cars parked directly below the roof. Professional metal roof installers charge about $350-400 per square for labor. Standing seam installation can start out as high as $500 per square, because its more difficult and time consuming to install this roofing system. Keep in mind that these are prices for a basic install on a one storie ranch of cape style home. If your roof has a lot of penetrations (skylights, chimneys), valleys, curves, your installation cost can significantly go up. At the end, you may end up paying at least two times more than the initial “low” price. When you are getting roofing quotes, be sure to ask your contractor exactly what is included in the price. Ask him to explain and itemize his labor charges before signing the final contract. Use or Metal Roofing Calculator to get a more accurate roof replacement price quote for your house. 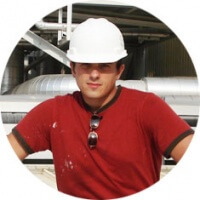 Another important factor that affects installation costs is your geographic location. Roofers that operate in high-income suburban areas, expensive cities, such as: San Francisco, Seattle, New York or Boston, usually charge as much as 15-18% more than the national average labor prices for the exact same job. On the other hand, pros that are located in less affluent regions may charge 10-15% less than the average, depending on local economic conditions. This is exactly why roofing prices you see online are not exactly 100% accurate, because your location will ultimately dictate how much a roofer will want to charge for his work. Lets take a look at the most popular metal roof types. Learn about their differences, as well as specific advantages and design characteristics. The least expensive option is a corrugated steel roof. Often installed over purlins or over existing asphalt shingles, these panels come in large, easy to install sizes (3′ wide panel, cut to specific length, or as standard 3×10′ panels sold at home improvement stores like the Home Depot (not in all states). A corrugated metal roof offers VERY fast and rather easy installation, and a fairly low material cost. In fact, it can compete with asphalt shingles on price. In Midwest states, the complete system cost for both types of roofing is fairly equal. Corrugated panels are around $120-150 per square (for 26 Ga Kynar coated panels), and have the least amount of available flashing – (ridge cap, gable trim, valley pan). It is also possible to utilize custom made side-wall flashing. If you are considering this material, it is important to understand that corrugated metal roofing is not intended for use on complex roofs. However, with low cost comes relatively low quality, and there is nothing you can do about it. Corrugated metal panels are VERY thin (29 Ga. galvanized steel), and are usually painted with acrylic coating, which lasts about 15 years. These roofs are also installed by screwing fasteners right through the panel, into the deck / substrate or purlins (horizontal framing). The screws become loose after a few years, and need re-tightening. These are also usually the source of leaks. Additionally, corrugated steel is not suitable for complex roofs with valleys / dormers / skylights, because the system lacks crucial flashing components. Did you know? Corrugated panels (also known as R-panel or 5-v crimp) are an an exposed fastener metal roofing system. This means that screws are used to penetrate the face of the panel and attach it to the roof deck, leaving the heads of the screws exposed to the environment. In addition to the fact that these exposed fasteners don’t look particularly attractive, they also make your roof susceptible to leaks. That’s right, this particular metal roof can leak, because due to thermal expansion and contraction of the panels the screws get loose over time, and water can seep through. They are also susceptible to rust and corrosion. To combat this problem, you will need to periodically replace the old screws and dried up rubber washers with new ones that can be tight once again. By contrast, concealed or hidden fasteners are found on high-end metal roofs, such as standing seam. This means you don’t see the ugly screws splattered all over the roof surface. Most importantly, the roof remains complete watertight because the screws are not exposed to the air. Many homeowners mistakenly think that corrugated metal panels are just a more budget friendly version of standing seam, because they look a little similar. Nothing can be further from the truth! R-panels don’t provide the same durability, longevity or energy efficiency as true standing seam metal. They last only about 20 years, because they are made from a lower grade G60 galvanized steel. This is not much longer than the service life of regular asphalt shingles. Ultimately, you get what you pay for, so you need to decide which product best suits your needs and wallet. Unlike corrugated panels, metal roofing shingles are made of a much higher quality steel (G-90 or Galvalume) or aluminum. Also, they are painted with premium Kynar 500 resin based color coatings that maintain their original color for many years to come. Installed using a concealed fastener method, they are highly resistant to rusting and leaks. Interlocking metal shingles are considered a premium system that offers exceptional durability, and long service life of 40+ years. At the same time, this is one of the most affordable metal roofing options, with prices starting as low as $6 per square foot installed. 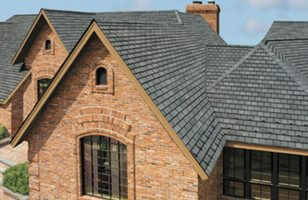 Steel shingles average about $265 per square (for standard colors) to $375+ per square (for premium / multi-tone colors). Tamko MetalWorks would be among the least expensive options. While they are not as cheap as corrugated panels, metal shingles offer great curb appeal, and superior protection against rain, snow and ice. Homeowners love steel shingles precisely because they don’t have the “classic” look of a metal roof. Many are designed to look like other type of roofing materials, such asphalt, cedar wood, slate, or clay. 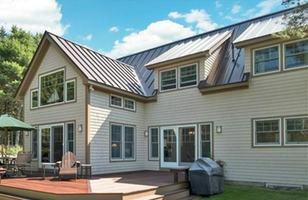 In recent years, the popularity of standing seam roofing has skyrocketed, making it one of the hottest new materials, especially for contemporary style homes. However, it looks just as beautiful on classic colonial, cape and ranch houses. You may notice that there is a HUGE range in total installation cost for different standing seam panels. 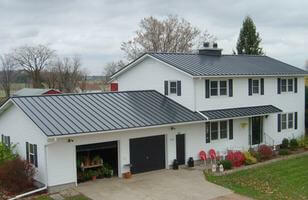 The truth is, a standing seam roof can be relatively inexpensive on a simple ranch-type house, if you use 26 Ga steel. 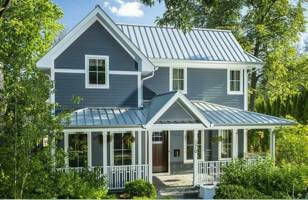 Most homeowners pay about $10-12 per square foot to install a standing seam metal roof. 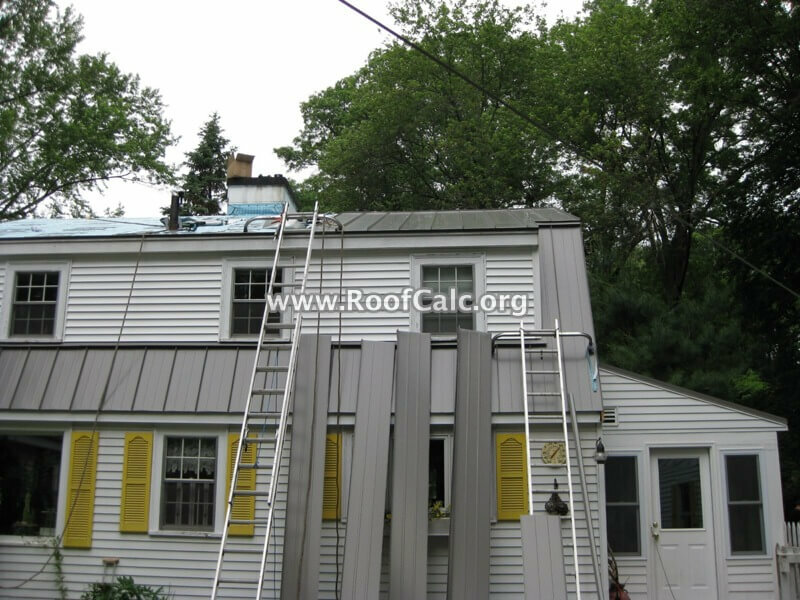 However, if you install standing seam onto a rather complicated roof (with dormers / skylights / hips) the total cost will suddenly skyrocket – especially if you go with aluminum. If you want copper or zinc panels, expect to pay well over $20 / sq.ft. Standing seam panels are readily available across the US, and can come from a variety of sources. 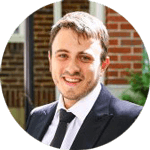 For example, big manufacturers like ATAS International, Drexel, Englert, MBCI, etc.,local Sheet Metal Shops, and even individual roofing contractors, who own a roll-forming machine and can supply the panel for you. Additionally, there are many online stores selling standing seam, that can ship it to your house from halfway across the US. Thus, prices can vary greatly. We buy our panels from local roofing suppliers and pay about $265 for 24 Ga Steel to $325 for .032″ Aluminum. Online you can find 24 Ga steel for about $195 / square + shipping. However, there are many logistical problems associated with buying online, and also shipping costs can be rather steep. Thus, for us it is simpler to buy them locally made. Standing seam panels can be curved into a number of different shapes to accommodate fancy architectural details. The demand for curved roofs is on the rise in residential building, particularly in new construction, modern style homes. MBCI is very famous for manufacturing a couple of different curved metal roofing systems. Aluminum is particularly well suited for this unique application because its a very malleable metal that can be easily bent into different shapes. You can expect to pay about $700-900+ per square of copper or zinc standing seam with accessories. Note that these are usually manufactured in the form of standing seam (though you can find copper roof tile, slate and shingle profiles). Prices for these premium metals are a lot more volatile than for steel or aluminum. They can change up or down (usually only up though) many times throughout the year. Steel shingles, coated with stone granules for extra protection and designer looks, cost between $350 to 425 per square (without battens). These systems also lack some flashing accessories due to the design constraints. Besides the material itself, you will also need to put in horizontal battens for tails to be installed on. Additionally, because these roofs are usually made of 22 Ga steel, they are difficult to cut, and you will need a special shear that costs $500-700. Stone coated metal shingles are an excellent option, if you are looking for a Florida style clay roof, but do not want to pay $20+ per sq. ft. for materials. Another reason many homeowners choose stone coated shingles is to avoid having extreme weight on the roof (as much as 10 lbs. / sq. ft for natural clay tile), which most roofs will not support. These tiles and shingles are also excellent for regions that get hail, wildfire and hurricanes/tornadoes, as they will not burn, can withstand over 2″ hail and over 110 MPH winds. Overall, stone coated steel roofing is costly. It can become especially expensive when installed on a complex roof. However, it is still much cheaper than real clay tile. Each metal roof style has its own set of components and accessories, which are required for the system to function properly and not leak. These accessories are similar in nature, but differ from manufacturer to manufacturer, and from one type system to another. For example, standing seam requires the use of Z-bar flashing between the ribs, when you do a head wall flashing or a ridge cap, and on pretty much any square penetration in the roof. Metal shingles do not need these as they are flat in nature and do not have protruding ribs. A tile system has it’s own flashing that follows the barrel profile of the tiles. 1. Most homeowners looking to install their first metal roof usually select metal shingles. Their greatest advantage is the tremendous variety of colors and styles available. 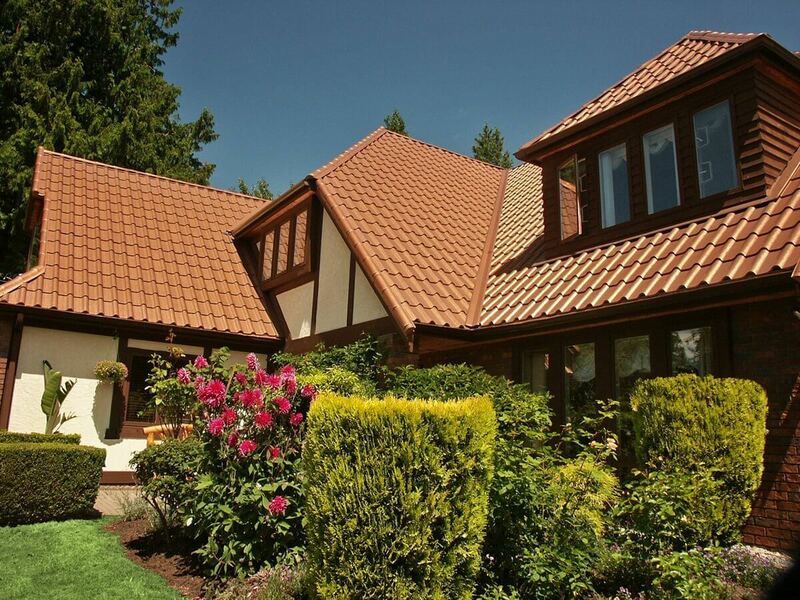 Many are designed to replicate the look of cedar wood, or architectural asphalt shingles. They are also a lot more affordable compared to standing seam roofing or stone coated metal tile. 2. If you are on an extremely tight budget, but still want to the advantages of metal roof, go for a high quality corrugated metal panel system, or low-end interlocking metal shingles. 3. 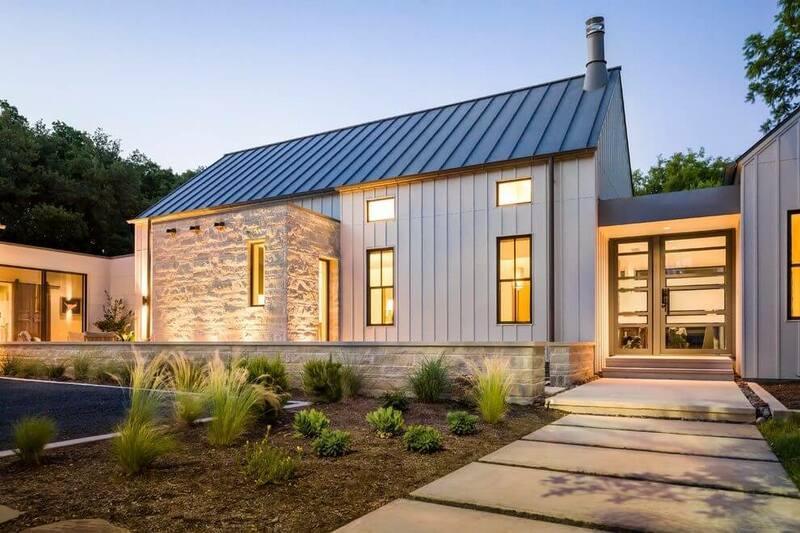 If you want a high-end contemporary look, standing seam panels are your best bet. They are also ideal for homeowners who are interested in installing solar panels on their roof. If you are considering standing seam roofing its important to realize that it’s a very complex system with a lot of expensive components. Moreover, when your roof has multiple penetrations and changing slopes, the cost can double, due to complex installation. 4. The only reason to select stone coated metal shingles is for their unique curb appeal. 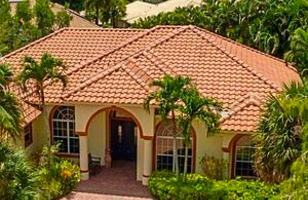 If you have a home that would look best with a clay tile roof, stone coated metal tile is the best substitute. Other than curb appeal, they don’t offer much more advantages in terms of longevity or durability, compared to less expensive painted metal shingles. 5. If you plan to paint your metal roof, or want it painted by the manufacturer, be sure to select a high quality metal coating such as Kynar 500. There are also acrylic paint coatings for metal roofs, but they tend to chip and fade a lot faster. Its better to pay a few hundred dollars extra, but get a premium roof coating that will maintain the original look of your roof. 6. Homeowners living in coastal regions should consider installing aluminum shingles or panels, as opposed to steel. While many steel roofs have special corrosion protective coatings, they are still not as durable against corrosion are aluminum roofs. 7. To achieve the greatest energy savings from your metal roof, its best to select light color metals, or those that are rated as “cool”. While any metal roof will be more energy efficient than asphalt shingles, installing a lighter color can boost this efficiency even further, because these colors are more solar reflective compared to darker ones. One of the most attractive features of a metal roof is that requires practically zero maintenance. If you have a corrugated metal roof, you may need to re-tighten the screws about every 10 years. All other types of metal roofs are truly maintenance free. For most homeowners this is a breath of fresh air, as no one wants to spend their free time taking care of their roof. When it comes to repairs, its important to note that in most cases a metal roof will not require repairs, because its designed to be a water shedding system. This means that its impervious to damage from leaks and ice dams, and therefore should not need to be fixed. However, there are cases when faulty installation can compromise the integrity of a metal roof, and you will start to get problems like leaks, etc. Fixing a metal roof is expensive; pros charge at least $500 to fix a metal roof. However, depending on the type of system and complexity of the problem, the total price can be a lot higher. For example, if you need to take apart standing seam panels, repairs can cost thousands, because its such a hard job. Ultimately, you should invest into high quality installation to avoid any costly problems and repairs down the line. For many homeowners looking to replace an old roof, the choice often boils down to metal vs. asphalt shingles. In the short run, traditional shingles are a very budget-friendly option, with prices starting as low as $3 per square foot installed. These are 3-tab shingles, that look flat and last only about 10-12 years, sometimes even less. More expensive, designer architectural shingles, last up to 15 years, and look significantly better. They run $5-7 per square foot on average, but can be as much as $7-8 per square foot installed. 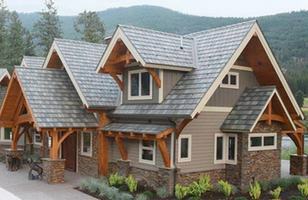 Thus you would be looking at spending anywhere from $4,500-10,500 on average for a new shingle roof on a 1,500 sq.ft. ranch style home. To compare, the average metal roofing price is about 40-50% more than basic shingles. However, this roof will last at least twice as long, and will require minimal maintenance. Upon closer examination, the math is actually in its favor. This is because you can get a low-end metal shingle, which is still superior in longevity and performance to the most expensive asphalt product, for about $6.5-7 per square foot installed. 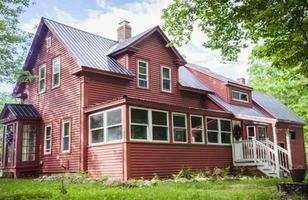 Thus, you can get a new metal roof for about $9,750-10,500 on the same 1,500 sq.ft. ranch style home. This roof will protect your home in any weather, especially against ice dams, snow, rain, hail and fire. Many homeowners spend this much on an architectural asphalt roof, but don’t get any of the benefits of metal. In addition to a longer service life and durability, metal offers such tremendous benefits as energy efficiency and recyclability. Unlike with asphalt, you can save up to 30% off your energy cost. Moreover, it is a green building material, which can be recycled, while asphalt usually goes into our landfills. Ultimately, the choice really depends on your goal: if you are really pressed for money and need to get a new roof immediately, asphalt shingles make sense. They are also a viable option, if you are currently in the process of selling your home and it needs a new roof. However, if you are planning to live in your house for at least the next 5-7 years and don’t want to deal with costly repairs, which inevitably happen with asphalt roofing, metal is the smart choice. 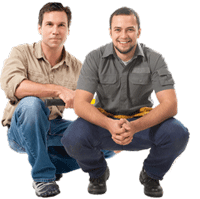 Over time you will recoup your initial investment, and will enjoy a lifetime of leak-free, hassle free service. If you do decide to sell your home at some point, it will be a very attractive feature to prospective buyers, as nobody likes to deal with roofing problems. If you currently have an asphalt roof and need to replace it, you may have an option of installing a metal roof over shingles. This will enable you to save money on tear-off, which can be as much as $1,200-3,000. It’s best to speak with your roofer about this, because it may not be recommended depending on your roof structure, ventilation, and other factors. Since metal is considered a high-end material, it makes sense to compare its cost to other premium roofs, such as cedar shingles, slate, synthetic slate, clay and concrete tile. Looking at the price difference vs benefits derived from high-end roofs, it is clear that a metal roof offers the best value. That’s true.I totally agree with you.Metal roofs are the best choice for roofing if you want cost effective and for long period of time.Table given in this article proves that metal are less costly than other materials and has more life than other material too.Amazing article. Thanks for sharing. I’m choosing between a wood and metal shingle roofing. You’ve discussed it here more options like an asphalt shingle and premium materials like cedar, slate, synthetic, clay and concrete tiles. Can somebody please help me to tear it down for at least three options? Please? What roofing product was used on the “Stone House with Metal Roofing”? Shown in picture with caption “Roof Prices in Alabama and Atlanta, GA”. Thanks for giving some ideas about high and low cost materials. I had no idea that metal shingles can offer high quality and longevity while still being affordable. After moving to our current area, I noticed how many houses had this style of roofing. It seems that metal roofs in general are becoming a trend. I had no idea that different types of metal roofs took different parts and pieces to install. I’ll make sure that when I start looking at metal roofs for my house I find out which parts I will need to properly get it installed. I think consulting with a roofing expert might be my best bet for completing this roof properly and safely. 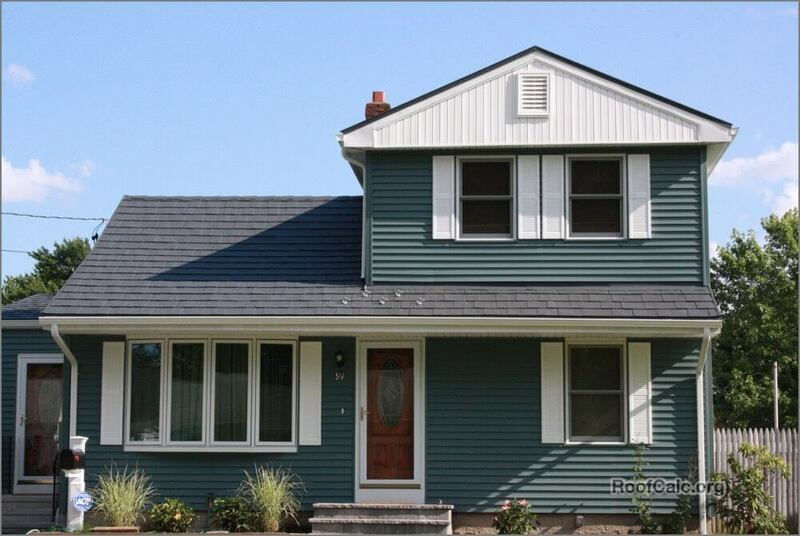 I love the first home on your site with the blue-grey siding, blue-grey roof and white trim. Can you tell me what products and colors were used? Thank you. 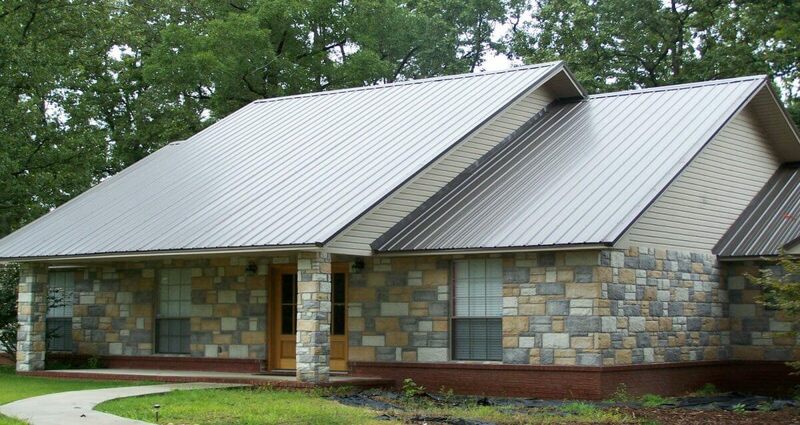 Heather – that is Grey or Metallic color architectural (no exposed fasteners) Standing Seam. I would want to have more durable shingles for my roof. I would want to get steel or aluminum shingles. I have asphalt shingles right now and they are starting to break. Thanks for the post. I really like that there are a lot of options to choose from when looking to replace a roof. I like that metal roofs can offer a really long lifespan. I also like that they are relatively low in cost. Considering that it can cost quite a bit more for a stone coated roof vs a steel roof. Great to see the pricing detail for different metal roofing options. Those who are planning to install metal roofing for their building can take help from the post. Thanks for providing useful information. There are Gerard Usa, Metro Tile, Decra – these are the biggest. You can search for “stone coated roof” and other variations of this. However, the above 3 are very good, and you can go with either one. There isn’t much of a difference between them, except in actual shingle / tile design. Hi, does anyone know the actual tile price or price per sq for stone-coated steel tiles. And also the installed price to would be great please. Can you please provide names of companies that produce stone coated metal shingles?